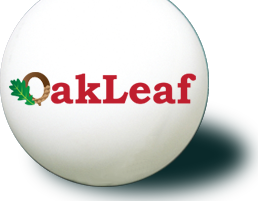 With great value annual joining fees of £19.00 for adults and £13.00 for juniors and senior citizens, there are no monthly payments, becoming a member at the Oakleaf Sports Complex could not be easier. Even better, memberships run from 1st April to 31st March annually, so you always know when your renewal is due. Simply download the Membership Form or collect a copy from Reception. Return your completed form to reception along with payment and we’ll see to the rest.